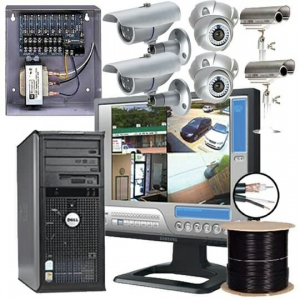 At G2 TechSolutions we take pride in installing security camera systems that meet your business’s needs. After all your business is important to you and protecting it is just as important. Rest assured, when choosing G2 Tech Solutions, that you and your business are protected. We are a local installation and service company operating in Houston and the surrounding area. We started this business with a core concept in mind that will never change. We believe in doing something right the first time and only using the best materials. Our customized products and cctv solutions can be integrated to meet any project demands and have the ability to be scaled if the need arises. We can also provide business owners with the luxury of monitoring their property at all times. This can help monitor employees and customers with the added benefit of reducing theft and allowing you the luxury of keeping documentation of an event if needed. Even if you currently have security cameras installed and may be looking to expand or upgrade your pre-existing equipment, we can help provide you with practical solutions and efficiently integrate new equipment with the pre-existing set-up. Not only does G2 Tech Soutions offer the IP surveillance hardware such as IP cameras and video servers, G2 Tech Solutions can develop, design and integrate all typse of IP, Analog, or Hybrid based cctv configurations for your organization.